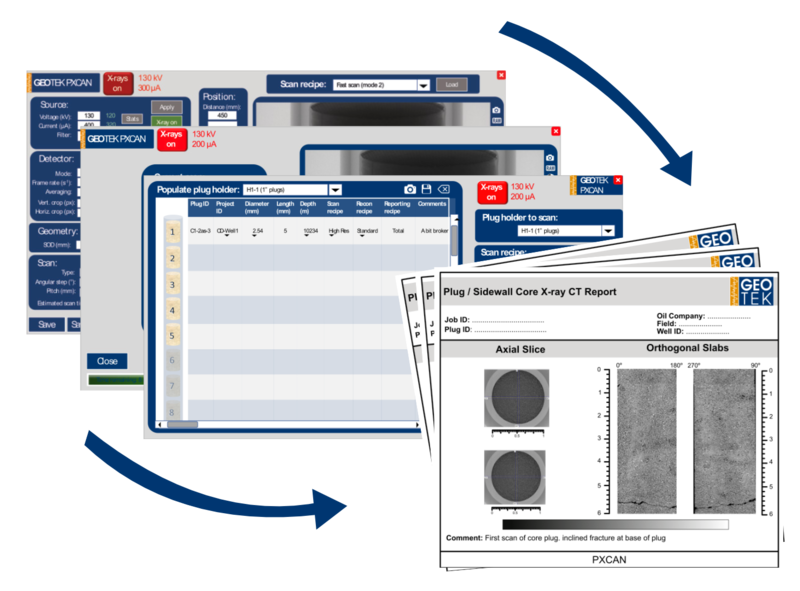 A high throughput dedicated core plug and sidewall core X-ray CT system. Up to 100 core plugs or sidewall cores can be scanned per day with a cubic voxel resolution of c. 80 microns. PlugXcan utilises a long lifetime closed 130 kV X-ray source, a large flat panel detector, and motorised object positioning to optimise resolution between 40 um and 250 um. 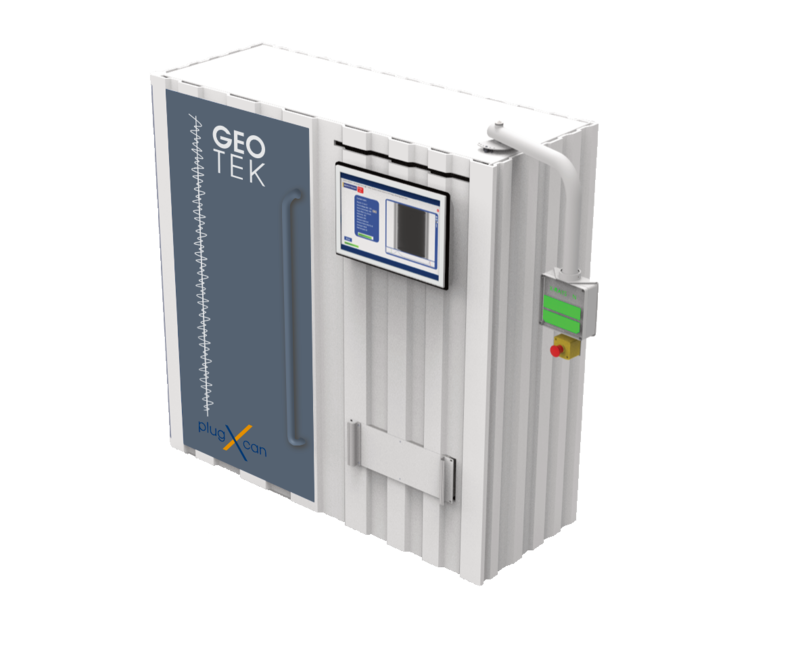 Multiple core plugs (up to 8 ) are securely mounted using a Geotek “QuickFix” holder for stable and automated scanning. 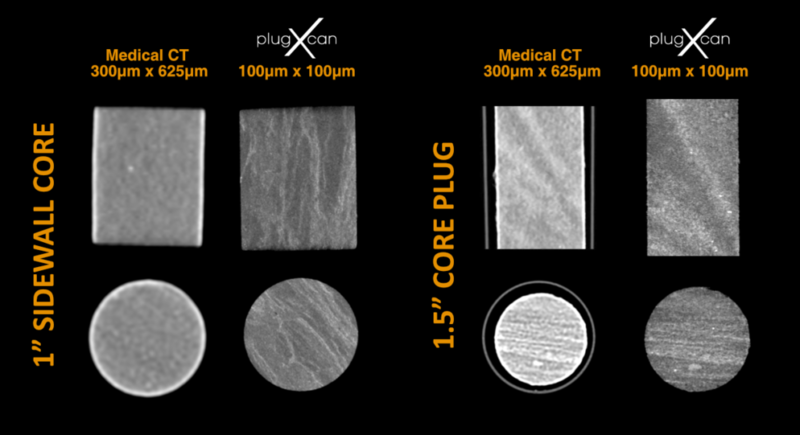 Compared to a standard medical CT system, PlugXcan offers more resolution, greater sensitivity, and improved contrast without the sacrifice of throughput. Intelligent acquisition and processing workflows built into custom-designed software.